Valiant Next is heating up, but that doesn't mean Valiant Entertainment is showing any signs of abating the onslaught of quality books. In a few weeks the calendar will turn to February and Valiant Entertainment will unleash Imperium #1 by Joshua Dysart and Doug Braithwaite. The work is an exclusive, never-before-seen prologue sequence that will make its print debut in Valiant's February titles. It bridges the gap between Harbinger and Toyo Harada's rise. 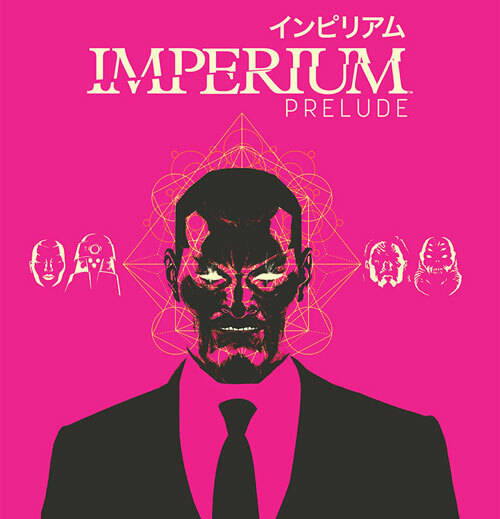 Imperium #1 hits stores February 4. Full press release below. An Exclusive Original Story Available in Valiant's February Titles! Bridging the gap between Valiant's hit series HARBINGER and Toyo Harada's rise in IMPERIUM #1, the spiritual successor to HARBINGER starts here with a fresh start for new readers in the IMPERIUM: PRELUDE! A psychic dictator, an inhuman robot, a mad scientist, a murderous alien, and a super-powered terrorist are about to try and take over the world…and you’re going to be rooting for them every step of the way. The battle for utopia begins on February 4th, only in IMPERIUM #1 – the FIRST ISSUE of the new VALIANT NEXT ongoing series from New York Times best-selling writer Joshua Dysart (HARBINGER WARS, Unknown Soldier) and superstar artist Doug Braithwaite (UNITY)!